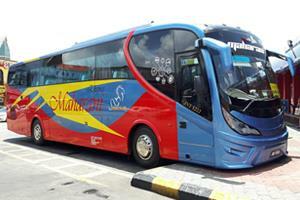 Maharani Express is one of the bus operators that provide express bus service from and heading to Muar. The ticket counter is located in Bentayan Bus Station, specifically Ticket Counter No 4. Additionally, the bus station is located in Jalan Maharani. You can easily find the bus stop at the side of the road. The most famous bus route provided by Maharani Express is from Muar to Kuala Lumpur. The pickup point is from Masjid Jamek Al Istiqamah Sungai Mati, Ledang and the drop-off point is in Terminal Bersepadu Selatan (TBS). This is another alternative for those who cannot board the bus in Bentayan Bus Station in the town. The price for the journey is from RM17.60 only. Moreover, Maharani Express coaches are equipped with air conditioner to ensure best comfort for the passengers. 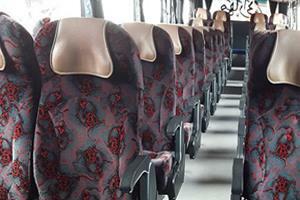 The bus is a standard bus with total 44 seats and the seats are arranged 2+2 in a row. Apart from that, the overall environment is clean and there is ample space for your legs. A journey with Maharani Express should be a pleasant one! On top of that, Maharani Express offers plenty choices for departure time for you to choose from. The first bus is at 8AM and the last bus is at 6PM. The bus will depart every one hour during this period daily. Bus tickets from Muar to Kuala Lumpur with Maharani Express is now open for online booking on our website. Book Now!